Courtesy of Compass RE Texas, LLC., Becky Frey. Stunning new construction in University Park. Built by a team of experts in luxury, Jonco Building xD; xA;Consultants have built a one-of-a-kind home in a highly desired neighborhood. Striking master retreat xD; xA;with vaulted ceilings and three guest suites + gameroom up. A gorgeous chef x2019;s kitchen with leathered xD; xA;quartzite countertops, center island and top of the line appliances. Designer finishes, two staircases, wet xD; xA;bar + study. An incredible opportunity for indoor-outdoor entertaining + 2 attached car garage, spacious covered outdoor living with fireplace and built-in grill, with plenty of room for a pool! Close to Preston Center, NorthPark Mall and Inwood Village. Beautiful home, great schools, amazing location. Please, send me more information on this property: MLS# 13953298 – $2,439,000 – 4216 Caruth Boulevard, University Park, TX 75225. 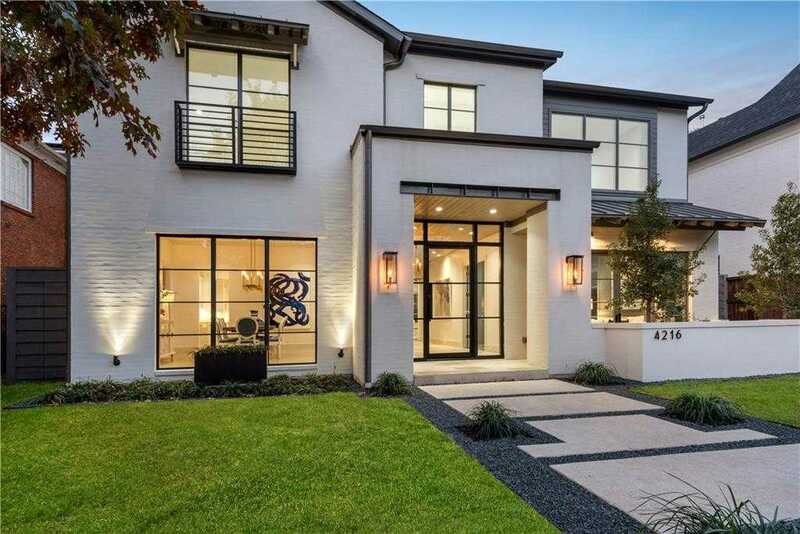 I would like to schedule a private showing for this property: MLS# 13953298 – $2,439,000 – 4216 Caruth Boulevard, University Park, TX 75225.